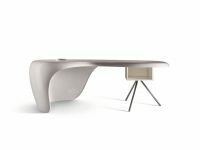 MOBILIARDI - Executive Office Furniture and Chairs. Klöber is an internationally operative manufacturer of high-quality office seating designed to the highest ergonomic standards. 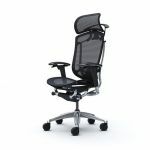 Klöber specialises in office chairs and leads the field in ergonomics and design. We have been producing chairs here since 1935 based on a passion for healthy sitting, including products and patents that have changed the whole industry. International design awards and classic products on the market are evidence of the success of Klöber seating. Customers, architects and dealers worldwide value cooperation with this successful medium-sized business. individual office seating solutions featuring state-of-the-art technology and craftsmanship to convince at the top level. All Kloeber developments are characterised by the passion for healthy, dynamic sitting and focus on the synthesis of design, ergonomics and quality “Made in Germany”. 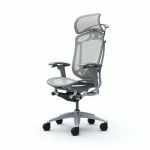 Uniting ergonomics and emotion is a key theme of Moteo Style office chair design.